BMHS Catholic coed high school in DC area: Your Gift Makes an Impact! 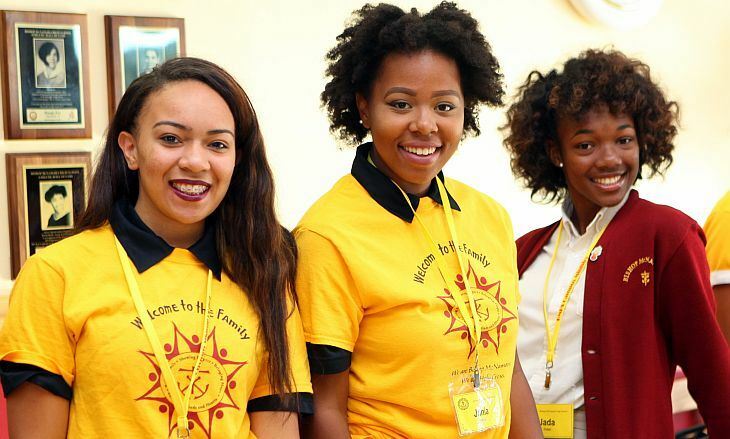 Your gift makes an impact by enabling Bishop McNamara High School to form empowered leaders, inspired by the Gospel, who will transform the world. We choose through our Words and actions to Build Family, Show Respect, Educate our Minds and Hearts, and Bring Hope. We choose to...Think with Christ. Your gift makes an impact by helping Bishop McNamara High School fulfill its mission to educate hearts and minds in a dynamic, inclusive Catholic school community rooted in the Holy Cross tradition. We will think creatively and critically, ask thought-provoking questions, and solve local, national, and international issues. We will collaborate and communicate clearly using academic, technological, and personal skills to embrace the opportunities and challenges of an interconnected world. We will exhibit a self-awareness and understanding of personal faith as we develop a personal relationship with God. We will embody strong morals to face difficult decisions, always acting in a manner which reflects and understanding of the dignity God affords all people. We will gain an appreciation for the broad range of disciplines and the opportunity to excel and succeed in our personal passions - academics, athletics, or the arts. We will develop our sense of self and continue to evolve as life-long learners, cultivating 21st century skills and a healthy lifestyle by understanding moderation and discipline in all things. We will appreciate cultures other than our own, embracing differences in upbringing, environment, and history to better find our role in the global community and to develop our own identity as responsible citizens. We will empathize with others and value service as a personal commitment and social responsibility, exercising charity modeled by the ethics of Christ to the poor and marginalized. 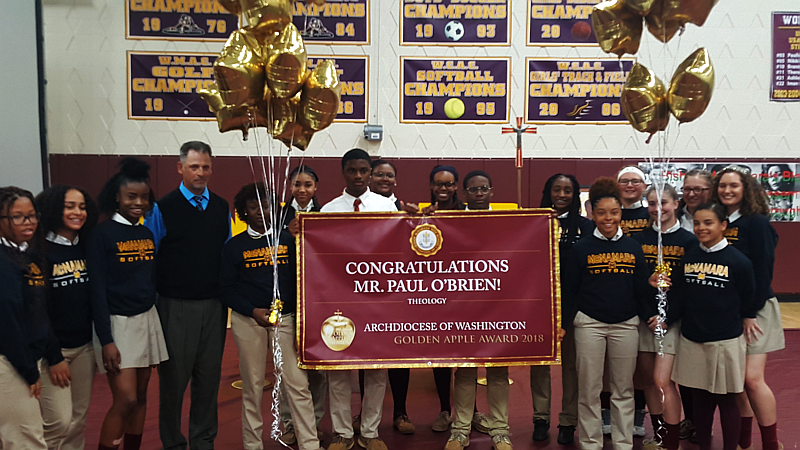 ACADEMIC EXCELLENCeAt Bishop McNamara, we seek to provide a 21st century renaissance education by being steeped in tradition but always looking toward the future. Over the last five years, 98-100% of Bishop McNamara graduates have been accepted at colleges and universities all over the country, earning more than $19.8 million in scholarships and aid. 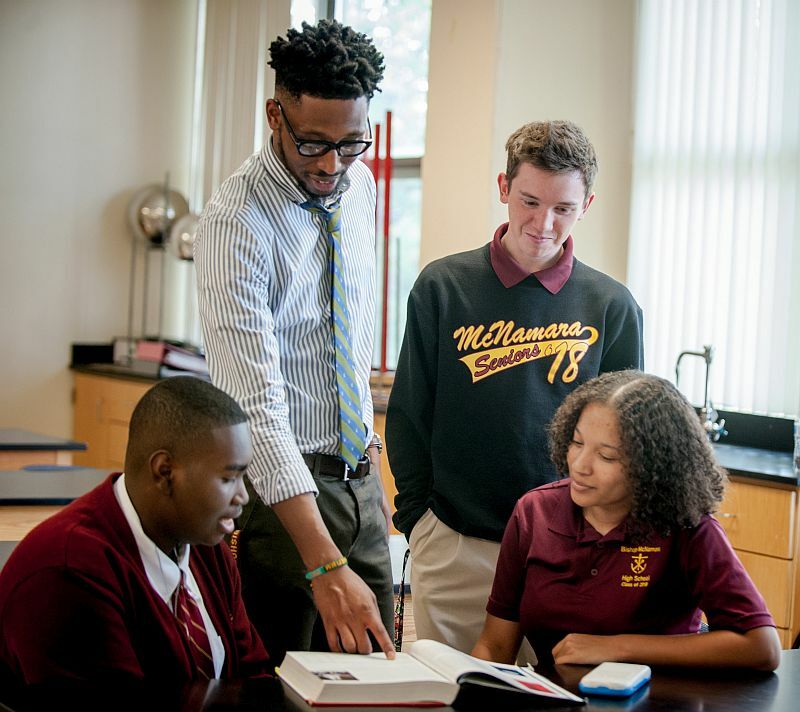 Bishop McNamara High School, a college preparatory school in the Holy Cross tradition, exists to educate and to form young men and women in and through the Catholic faith. 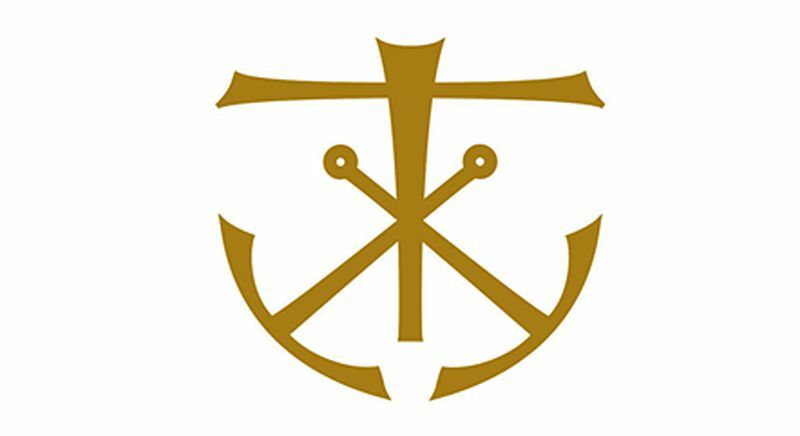 The school challenges its students to think with Christ; a thought animated by the Gospel, manifested in service and informed by academic excellence. The Congregation of Holy Cross has established schools, as a continuation of the legacy of Blessed Basil Anthony Moreau, to cultivate minds and hearts and to serve the needs of the Church and the world. As effective educators, we assist others to view reality through the eyes of faith. 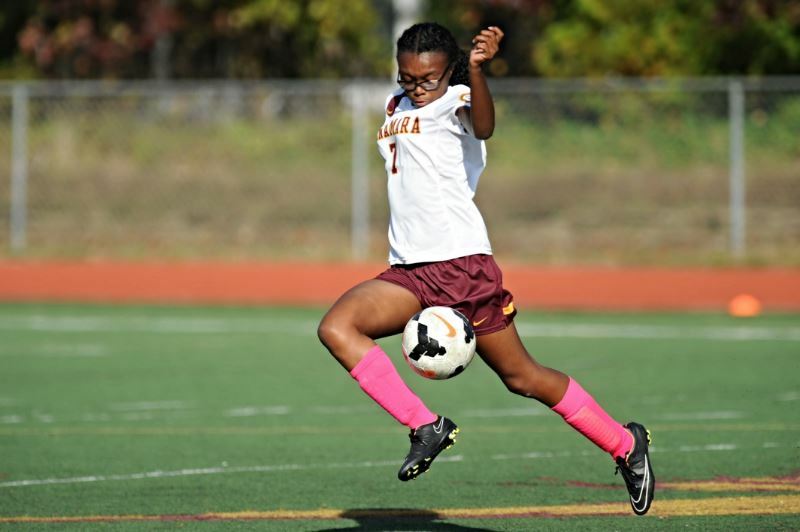 Bishop McNamara High School strives to maintain a proud tradition in athletics. The Athletic Department at Bishop McNamara seeks to educate the whole person, not just the athlete. As an extension of the classroom, athletics at Bishop McNamara seek to instill Christian values on the playing fields, in the classroom and in the community. Bishop McNamara participates in the highly competitive Washington Catholic Athletic Conference at the Varsity and Junior Varsity levels in 22 different sports. Since 1964, BMHS students’ exhibitions in art galleries and performances on stage have captivated audiences across the Washington D.C. and Baltimore metropolitan areas. Representatives of our department travel to such places as Memphis, Atlanta, New York, Orlando, Chicago, and Toronto, Canada. Furthermore, our alumni have sought degrees from many noted conservatories, universities and schools of art, dance, music, and theatre. The Fine Arts Department at Bishop McNamara High School offers one of the most extensive arts educations in the Washington, D.C. area. 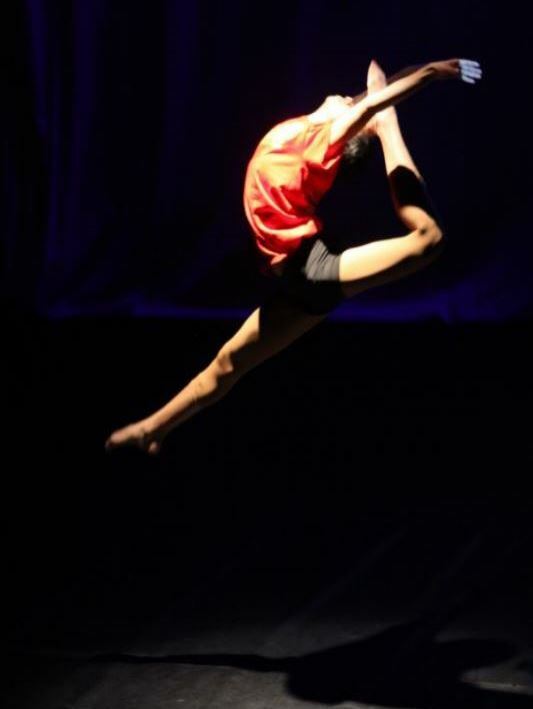 Our large musical ensembles, intimate dance classes, theatrical productions, and art studios offer comfortable, rewarding, fun, yet challenging environments for all participating students. 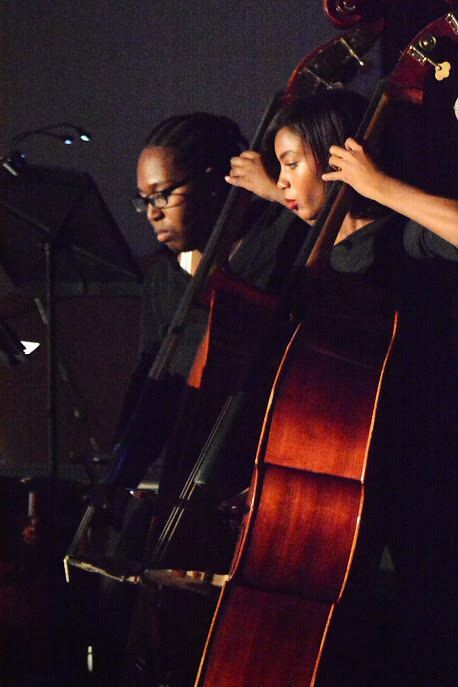 Student performance and displays throughout the school year enhance the community experience and recognition of the varied talents of our gifted young people. 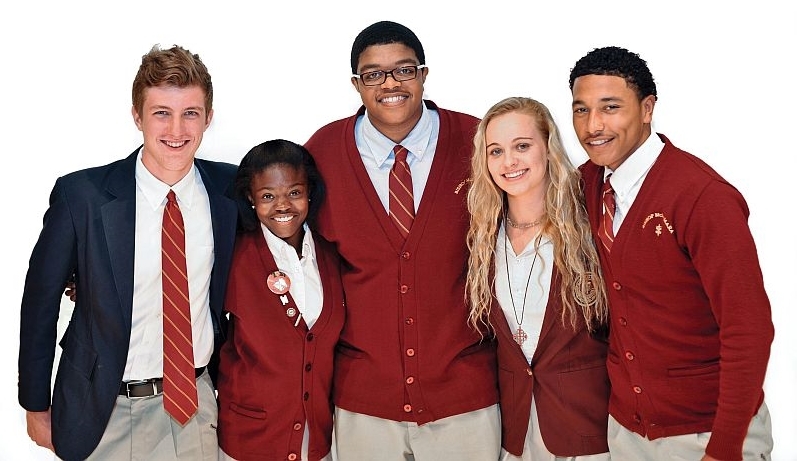 Student Life is an integral and significant part of the student experience at Bishop McNamara. With over 50 student clubs and organizations, ranging anywhere from honor societies, technical teams, special interest groups and service organizations, most of our students are active in at least one group. Extra-curricular activities provide students with opportunities to lead, participate and serve Bishop McNamara, area elementary schools, and community organizations. Gifts of cash are available for immediate use by the School for academic programs, student resources, and faculty support. The endowment allows for the establishment of perpetual scholarships, department chairs, naming of buildings, fields and general donor restricted gifts. Donations to individual Scholarship Funds, which have been set up as memorial or honorary scholarships, or scholarships endowed by certain organizations. Gifts of personal assets such as cars, jewelry, and boats are also welcomed. Many businesses and corporations match personal gifts to educational institutions made by employees, retirees, and their families. Bishop McNamara High School will consider accepting a gift of a home, vacation property, condominium, undeveloped land, or other real estate. Appreciated securities are a gift of stocks or bonds that are readily available. The deduction for outright gifts of appreciated long-term publicly traded securities (held more than 12 months) is equal to the fair market value of the securities on the date you relinquish control of the assets to the School. Gifts made through Wills, Trusts and/or through IRA charitable donations. Plan to be part of the future of Bishop McNamara High School. For more information, contact the Advancement Office at Advancement@bmhs.org. We shall always place education side by side with instruction; the mind will not be cultivated at the expense of the heart.